You view the map and see the many interactions between your packaging and your customers. You can measure and compare the most active geographical areas. This allows you to adapt your communication to each place. Around each package you add multimedia information (video, brochure, photos, product information, recipes, tips…). Your customers can also, in one touch, share your product on social networks, communicate with your customer service, geo-locate the nearest store, participate in a Quiz and pay the product (or service)! Your consumers want authenticity and to have a personal relationship with your brand! Because they claim to consume quickly and well, and to have fun while not wasting time, they want to trust the products they buy and they enjoy having a personal relationship with brands. Your packaging is in physical contact with your customers, at the store – in transport – at work and at home. It is therefore the only communication vector that remains the longest visible and available. They must be able to offer the most personalized service possible, which evolves according to the movements of your customers. 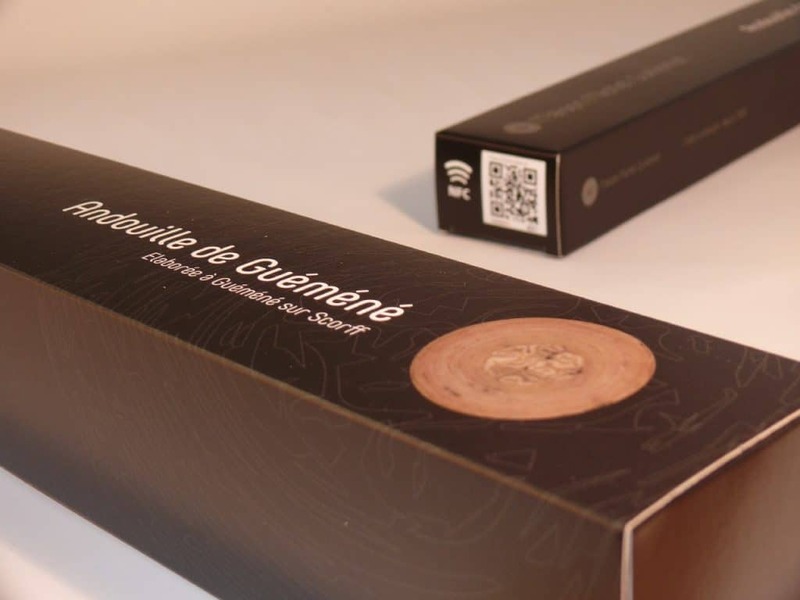 How to make your packaging smart? The Mobeefox solution, which has received 6 awards in 3 years, has already been adopted by many companies who appreciate this new proximity relationship with consumers, the possibility of transmitting their values, sharing on social networks that increases awareness and the possibility of creating new services. Mizenbox thus becomes the only packaging manufacturer in France to offer a complete service chain from packaging consulting to design, graphics, printing, shaping and smart connected solutions. Visit our Mobeefox website that takes care of everything and uses contactless QR-code or NFC Tag technologies.